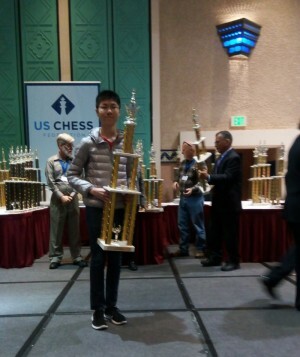 Stuyvesant Freshman Top Chess Player in the Country! I’d like to take a moment to thank you and the generosity of your donors for giving us the funds to go to the National Scholastic Grade Level Chess Championships on December 8-10, 2017 in Orlando, Florida. Our 9th Grade team came in first in the nation! Individually, Justin Chen was the number one 9th grade player in the country, scoring six wins and one draw. Jun Li, Ann Zhang and Cheng Chen all scored well and are all also improving quickly so I predict that our 9th grade squad will be the team to beat at the Grades for their entire high school career. Our 10th Grade team took 2nd in the country. Arjun Rai, Sophie Morris-Suzuki (2016’s #1 9th grade player) and Thomas Ghita combined to score 13 points falling only 1/2 point shy of first place. 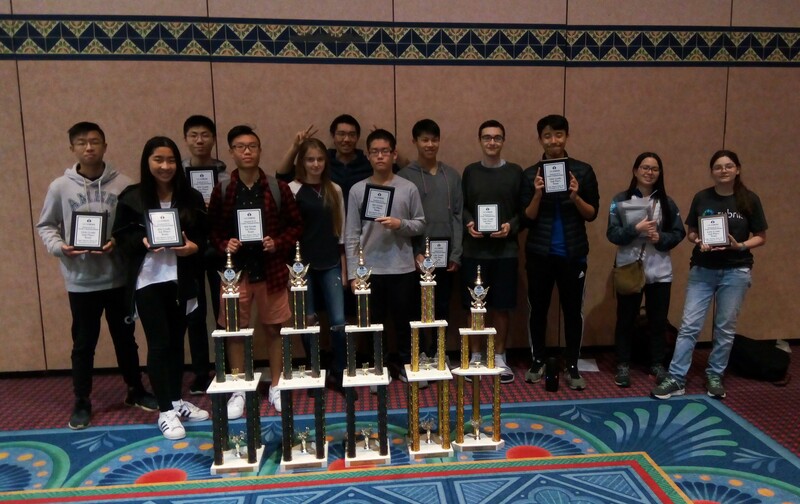 In the 12th Grade division, co-captains Charlie Reeder and Zachary Yu, as well as Shaina Peters and Joey Liu, all scored 4 points each (out of 7) to take 2nd place. These large national tournaments present great development opportunities for young players. The team came back from Orlando better and more seasoned than they were when they left. And we have you to thank for that! The Stuyvesant High School Alumni Association has funded the Chess Team’s trip to Nationals in Orlando, FL for several years now. If you want to help teams like this one continue to succeed and show the world Stuyvesant’s continued excellence, please click on the button to donate today! Help support the Chess Team!